When you hear the spec of the Derbi GP1 250 Racing scooter it’s easier to think of a proper motorcycle rather than a funky-looking twist-and-go scooter. It’s got radial brakes, earlier versions had a single rear shock and it even has a twin-spar aluminium chassis too. 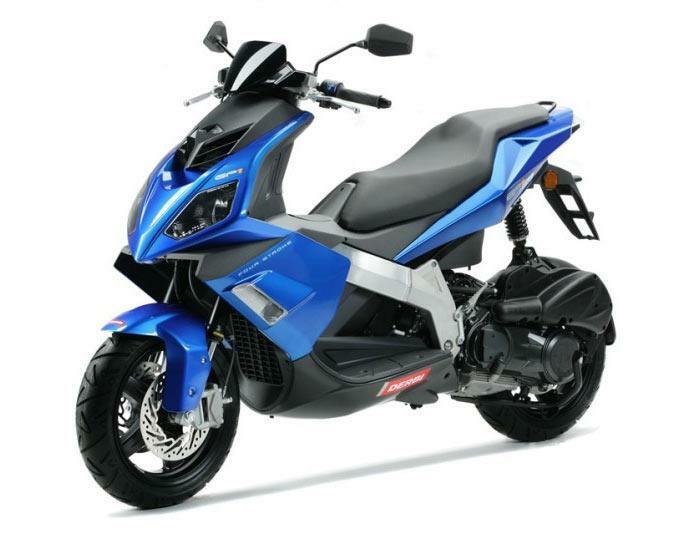 This is about as cool-looking as it gets in the 250cc scooter market. Boingy but good fun. The earlier versions had a single rear shock which was less able to cope with big bumps than the later twin shock scooters. Around town the GP-1 is more than able to handle carving through traffic. It can get a bit out of it’s depth on bumpy British back roads. Early scoots had twin radial front calipers and discs which were powerful. Later models made do with a single disc. It’s a 244cc four-stroke single cylinder motor which puts out around 22bhp so don’t expect fireworks. It is more than powerful enough for the rest of the bike however and is shared among many of the rest of the Piaggio group in various Vespas and Aprilia scoots. Will still do around 80mph flat out. 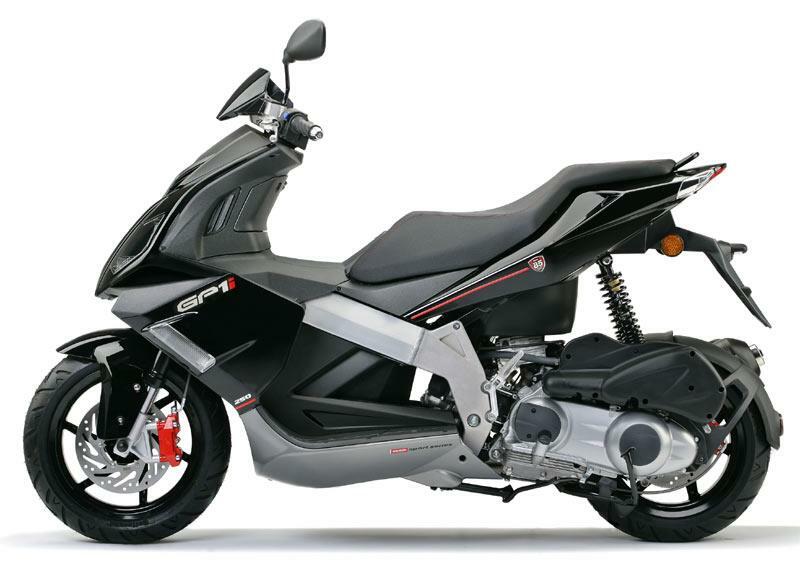 Compared to the Japanese scooters out there the Derbi looks like good value at £2999 and you get a good quality product for the money backed up by the massive Piaggio Group owning the Spanish Derbi arm. Secondhand prices are really good. 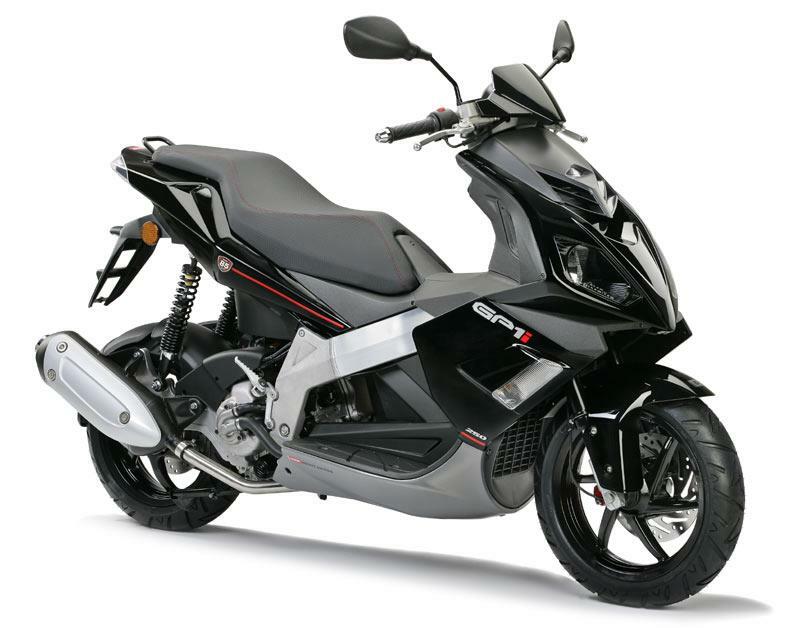 Find a Derbi GP-1 250 for sale. 2008: Minor updates including single front brake disc and calliper, twin shocks and new colours. 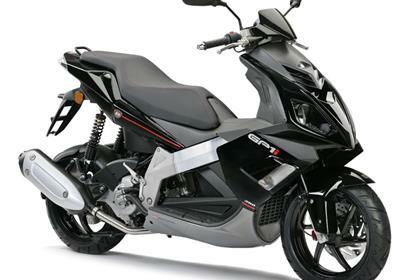 No owners have yet reviewed the DERBI GP-1 250 (2006-on).